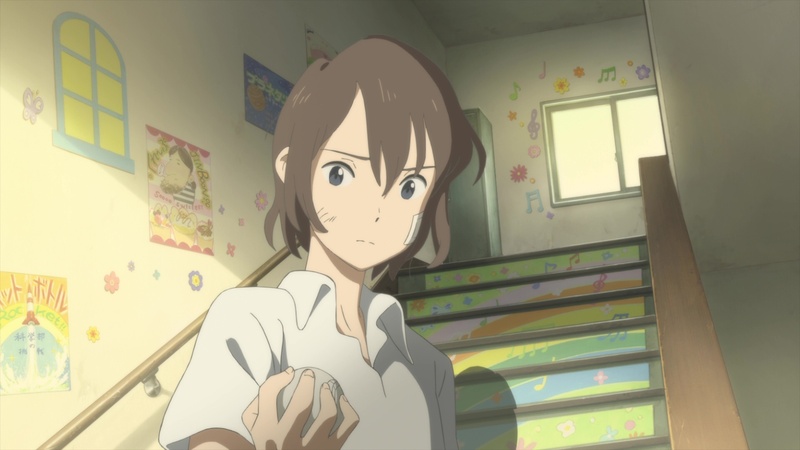 One criticism that I’ve often encountered about anime as a genre has been that there are so many series and not enough feature films – that is, there is a strong barrier of entry to trying out anime because you will often be committing yourself to a full series instead of a more bite-sized portion. 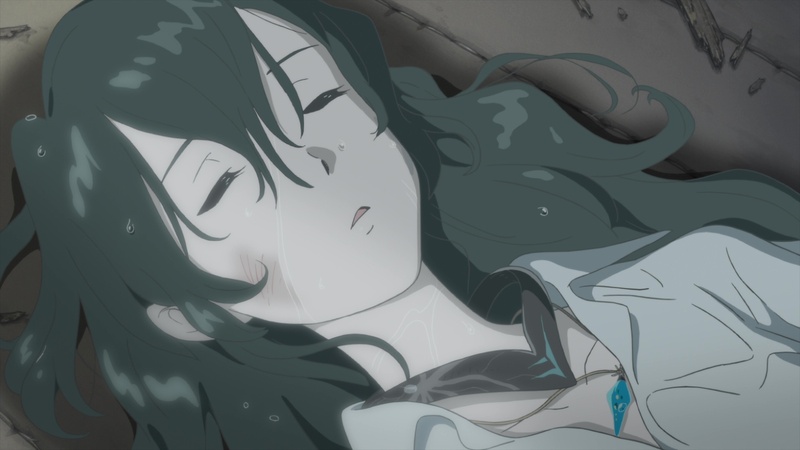 Of course, there are plenty of anime films out there (anything Ghibli being a good example), but as an outsider coming into the genre, it often feels like those can be hard to find. 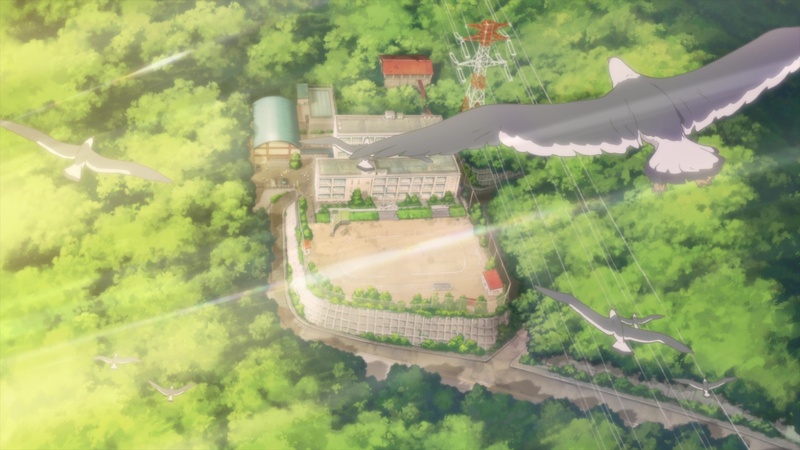 So when Typhoon Noruda showed up for review and I did a quick Google and discovered the 30-minute runtime, I was confused, was this a standalone companion to an existing series? Nope. 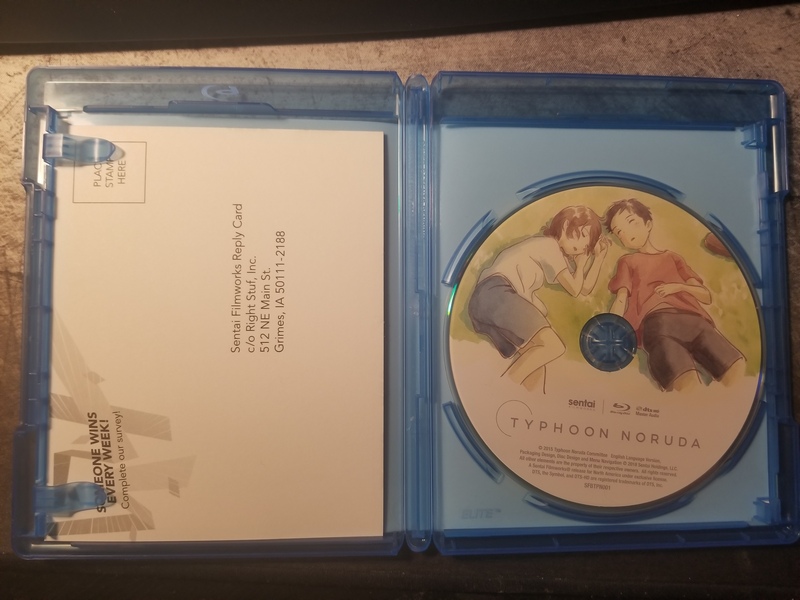 It’s just a 2015 short film that Sentai Filmworks has opted to release on Blu-ray. Color me intrigued…. 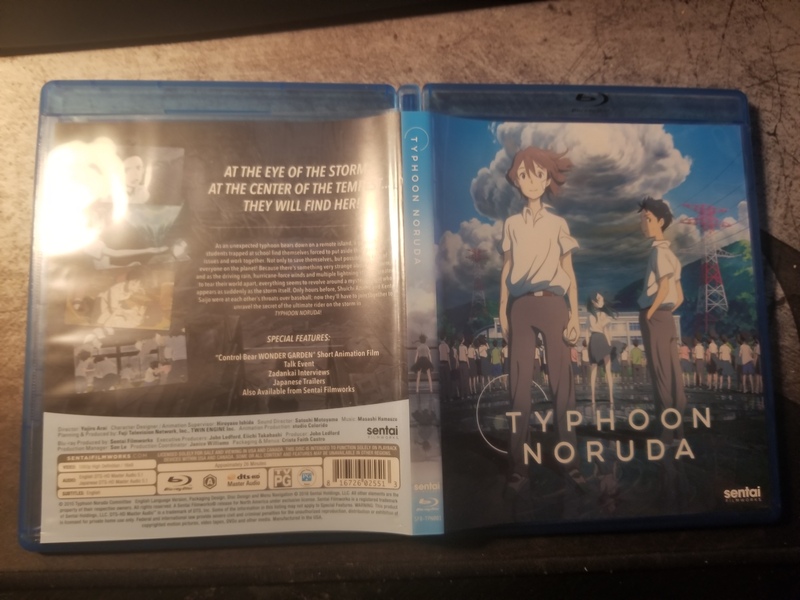 Typhoon Noruda follows Azuma, a schoolboy who has recently been fighting with his longtime friend and baseball teammate. 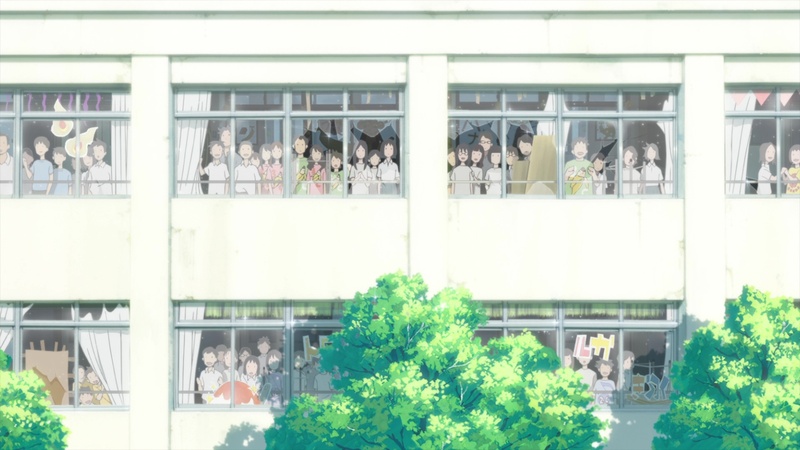 Azuma and his classmates are taking refuge from a particularly intense storm in their school when he notices a girl (named Noruda) outside who appears to be in distress. 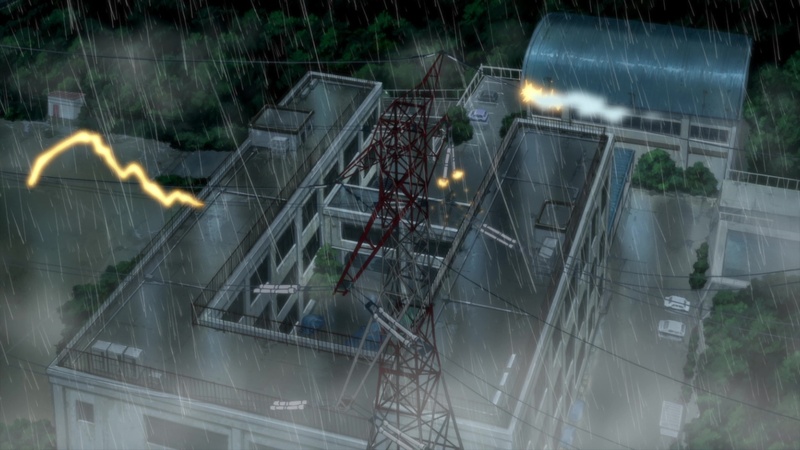 Azuma braves the weather to come to Noruda’s aid and quickly discovers that she is closely tied to the storm itself, and there is some bizarre events taking place that may have a more overarching impact than just a bit of rain. Considering the runtime of just about 30 minutes, it’s a bit tricky discussing the plot without spoiling everything, but suffice it to say, Azuma must face some internal struggles as he attempts to aid Noruda and possibly save the world while he’s at it. You know, typical anime stuff. 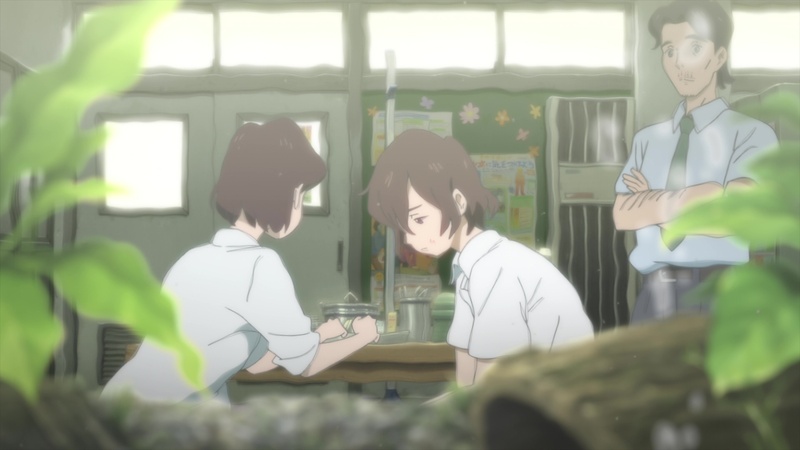 Typhoon Noruda is a very beautiful film (albeit somewhat soft on occasion), and has good animation, however, I can’t help but think that it would benefit tremendously with more runtime to flesh out the plot. Where this film had the potential to have a lasting impact on the viewer, it ends up feeling more like just a small sliver of what it could have been. But don’t dwell on this fact too much, it is still a fun and very approachable film that is definitely worth the watch. 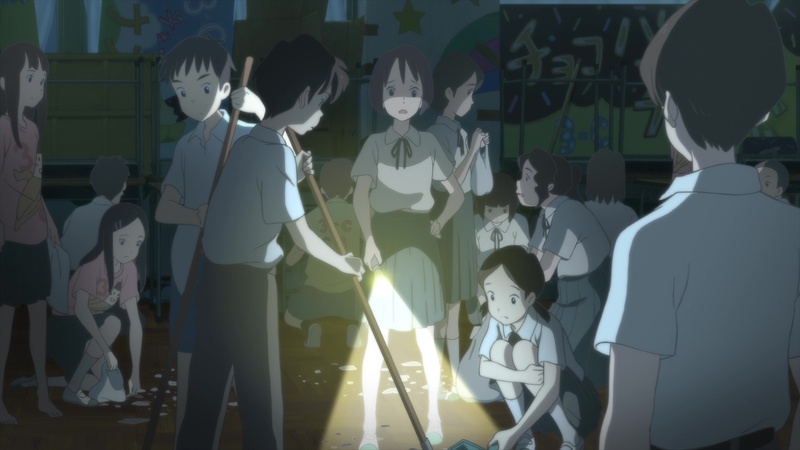 As mentioned above, this short is quite beautifully drawn and animated. I wouldn’t consider it a top tier offering, but it definitely is eye catching. Some scenes were a bit soft, but these seemed to be more of a creative decision rather than a faulty transfer. The audio track is perfectly suitable; and, for the most part, is not particularly exciting. The sound effects are all quite good and I never had any difficulties discerning the dialog even in the midst of the storm scenes. Considering the brevity of this film, I would have liked to see more special features, but at the same time, short films generally don’t have a lot in the way of behind the scenes, do they? Having said that, the short, Control Bear WONDER GARDEN is an absolute delight. It was very akin to something that you’d see before a Pixar film. I highly recommend watching this. 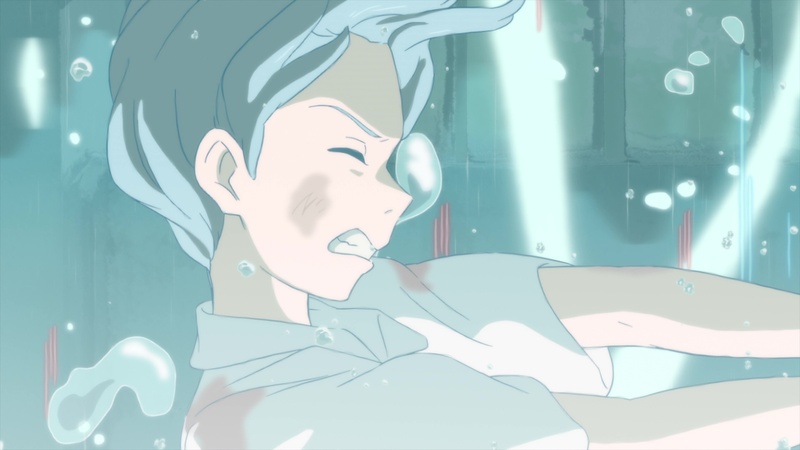 Typhoon Noruda is a really pretty and approachable anime short film that tells a decent story (albeit not fully formed or fleshed out). I would definitely recommend this film as a watch for anyone interested in animation. However, considering it’s runtime, it is difficult for me to recommend this as a blind buy. Thankfully, Sentai has priced this release with the runtime in mind, so it won’t necessarily break the bank if you wanted to give it a go.